In this article you will learn how to select your media and prepare it to be published by one of our available quick publishing methods. If you want to check out some demos and and extra information please visit our Video Players Information page. 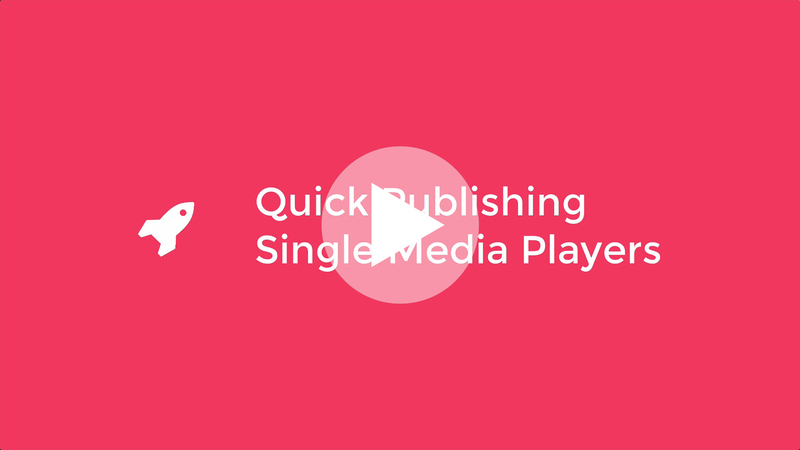 To quickly publish your Single Player simply select your desired Media from the Central Media View. Under Type select Single Player. Under Template select Default Single Player Template or a Custom Playlist Template. Simply click on one of the below links to learn all about each individual publishing method. Each publishing method has it's own help article and tutorial that you can access by clicking on the individual links above. You can also Create and Customise Single Player Templates.